College is much more stressful than high school. There are my goals, my parents expectations, exams and tuition. I read some colleges really help students cope with stress. What do they offer? When I read your letter, I noticed you didn't mention your year in college. This question could be asked by a freshman up to senior. You may learn to accept or manage the stress level, but it will not diminish. It peaks at graduation, when you have to start job hunting and plan to pay off your student loans. During college years, over one-third of students admit being depressed. It's so extreme, 8% expressed thoughts of suicide. Your parents’ generation did not experience these feelings at the levels we have today. We will look at what has changed and how colleges are responding. The pressures on students today seem to be at an all-time high. It's a fast-paced, technologically-driven world with attitudes and lifestyles reflecting this. 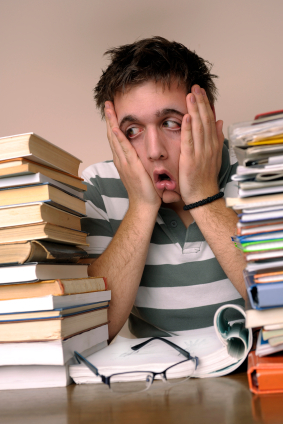 As a result, stress levels among students have surged. There's immense pressure to achieve consistently good grades which will lead to a high-paying career. Students have become much more future orientated by setting goals that are unattainable, such as becoming a millionaire CEO by the age of 30. Lifestyles are more demanding, especially since technology has enabled everyone to have a computer in the palm of their hand. With a smartphone, its on 24-7, constantly beeping and updating with emails, news, social media updates, events, and information. An overwhelming amount of data is relentlessly streaming into the minds of students today, and they try to keep up with it. This hectic life and the anxiety it induces has resulted in unhealthy responses to stress management, namely drinking, suggests organizers for AA meetings. There are healthier activities that students are now exploring for stress management. Studies show that women, who often feel more stress than men, are spending more time on volunteer programs and participating in student groups, while men are enjoying sports and video games. Colleges are starting to take steps to alleviate the pressures from this new student lifestyle. Wake Forest University, for example, has converted the quad into a leisure area for students. Instead of using smartphones, students can now sit at café tables, take a magazine from the library, or play ball on the green to relax and interact. Some universities such as Harvard, New York, and the University of Missouri have started offering meditation and mindfulness to help students achieve stress relief. Others have taken more extreme steps such as allowing students to bring their dogs to campus when nearing their finals. Students have more support now than in previous years with more colleges adopting a functioning mental health care program and advisors openly encouraging them to talk about anxiety issues. The time to relax is when you don’t have time for it - Sydney J. Harris.